Accueil / Actualités / Quels “business models” pour la diffusion des éco-innovations dans le secteur de l’éco-mobilité ? 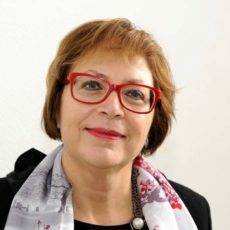 Les business models pour la diffusion des éco-innovations pour le secteur de l’éco-mobilité font l’objet d’un article que j’ai récemment publié avec Isabelle Nicolai. L’article est disponible en ligne (Society and Business Review, Vol. 10 Issue 3, pp.203 – 222.). Purpose – This paper aims to identify and to characterize the current evolution of “sustainable mobility” solutions. After considering this trend as an expression of eco-innovation, the authors look at the impacts of the emerging business models for the introduction of these eco-innovations, on the wider “eco-system” of mobility. Design/methodology/approach – This paper uses both an abductive as well as a inductive approach of responsible innovation. To assume contextualization of responsible innovation, the authors choose eco-innovation in the mobility sector that impacts as much on business models as on industrial organizations and as a global value chain. Findings – Eco-mobility is defined as a disruptive innovation that must be understood as a responsible innovation. The importance of social and institutional dimensions defining acceptance and uptake of the innovation is integrated in innovation characterization. Modifying the perception of eco-innovation, the e-mobility business model has to be reinvented. Doing this, impacts on global value chain of the mobility sector organization have to be analysed. Research limitations/implications – If the academic literature proposes a satisfactory analysis of the determinants of eco-innovation, the presentation of the “smart mobility” ecosystem as an open and shared innovation remains limited, compared with the question of value creation. The business models which are at present under development will deepen these questions. Practical implications – This paper discusses inputs for decision-makers in climate change policy and insights for reorganization of the global value chain in the car manufacturing sector. Social implications – This paper presents solutions to reduce the negative externalities (social and environmental) of the car manufacturing sector with good possibilities of mobility, inputs to accelerate new markets and new jobs in mobility sector and adequation of mobility services to social demand. Originality/value – Mixed analyses of sustainable development economics, innovation economics and organization management, and elements to build new business models in eco-mobility as a first step for the question of the adequate business models for “Smart Cities” – an application sector of functionality or service economy – have been presented.